"The villa was the highlight of the holiday. 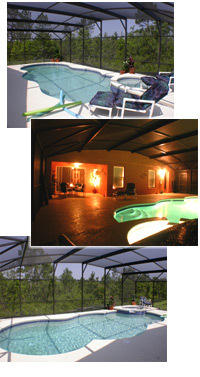 Very comfortable and tasteful, with top selections of games, gadgets and a superb pool/spa area. The free wi-fi was an extra that added so much value to our time there - ordering meals, checking attractions, maps etc. The location was very handy to the I4 and made it easy to travel quickly to the main attractions. We would return without hesitation if we visit again." 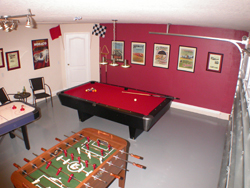 "We thoroughly enjoyed our stay at this property. The villa is very well equipped, very spacious and comfortable. 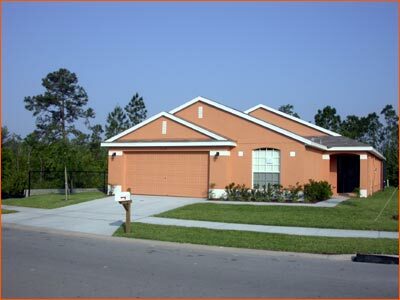 The owners and the property managers are helpful and friendly. The villa is easy to find and it is convenient to access the theme parks. We enjoyed retreating to this quiet location after the bustle of the theme parks. I would recommend this villa"
"The property is well maintained and extremely well furnished. It felt like we were staying at the owners home rather than a rented villa. Prior to the trip the owner was very helpful in answering our questions and queries and even baought a cot and a high chair so our 19 month old daughter could use them. Overall the excellent property, owner and local agent really meant that we could focus on enjoying the holiday." "Good location, well appointed and spacious. First time we have not stayed in hotel accomodation. Spent lots of time using the secluded pool. A home from home with all needs catered for and thoughtfully provided. With no previous experience of choosing to rent I can say we made the right choice and would certainly re-visit. The management company were friendly and professional and my overall impression was that like any good business the owner has delivered excellent value for money"
"Could not fault property at all, excellent position very close to parks and shops. Lovely furnishings and very clean. Management company was very quick with any problems and happy to help out in any way. Would definitely return and advice anyone going over to try this villa"
"A beautiful, spacious villa with everything as stated. Friendly owners and professional service received. We would definitely rent this villa again and would recommend it to our friends and family"
"We were really pleased with Woodlands Disney Villa. It had every possible comfort and was clean, practically laid out and we particularly enjoyed the "wildlife chorus" each evening! The pool was private and a real pleasure to jump into at the end of a long day! We will definitely be returning to "Woodlands!" Thankyou for a most enjoyable holiday experience." "Woodlands Disney Villa exceeded expectations ideally located for theme parks, restaurants & shopping malls which were all a short drive away. The pool & hot tub were very welcome after a long day at the parks. Would definitely recommend the villa We hope to revisit in the near future"